Here is the best of the audio from the famous Catholic television program, "Life is Worth Living!" For more than 30 years, Archbishop Fulton Sheen was the voice of the Catholic Church, with his radio and television ministries that touched hearts all over the world. His wisdom and gentle insight are once again available in digitally remastered audio recorded from his live programs. As in part 1, part 2 has forever changed my life. I will never be the same. Narrated by: Greg Friedman O.F.M. This autobiography includes childhood and seminary reflections, as well as Sheen's views on media stardom, pastoral work, international travels, conversions, Vatican II, Mary, and more. Listeners can expect to hear many of this saintly and sage communicator's famous phrases and inspiring stories. 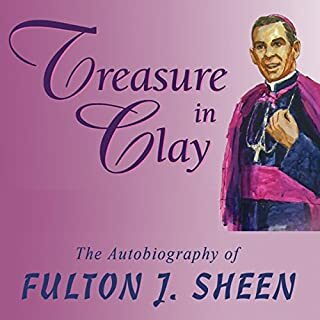 Treasure in Clay illuminates why Bishop Sheen is now called "Servant of God", a step towards possible canonization in the Catholic Church. 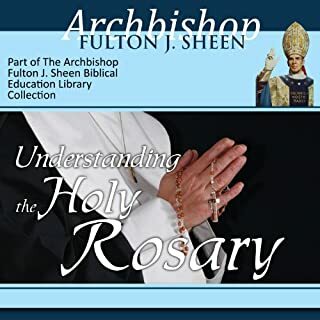 With gentle humor and rich insight, the beloved Archbishop Fulton Sheen teaches the deeper meaning of the contemplative prayer of the Rosary. Learn the physical, mental, and spiritual power and significance of this beautiful prayer. Remastered digital audio of a live sermon. 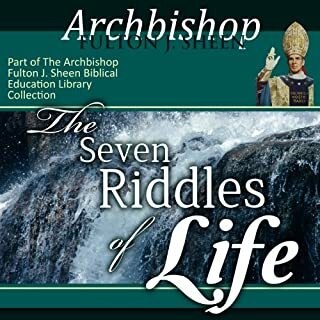 In The Seven Riddles of Life, Archbishop Fulton J. Sheen shares his renowned insight and gentle teaching on the questions that plague humanity. Learn the answers to the Seven Riddles of Life: Divine Goodness, Pain, the Suffering of the Innocent, Loneliness, Unhappiness, Failure, and Value. Remastered digital audio of a live sermon. 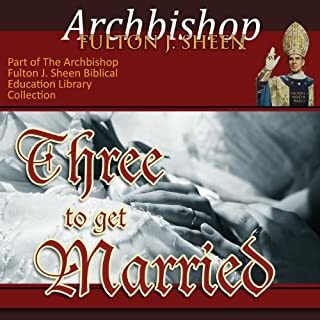 In Three to Get Married, Archbishop Fulton Sheen discusses the five tensions that arise in our marriages, and how to resolve them in Christ. Learn the roots of the contradictory desires that threaten our relationships, and how they stem from expecting from our spouses the infinite love and utter intimacy that only Christ can provide. Remastered digital audio of a live sermon. In this age of moral relativism and subjective truth. 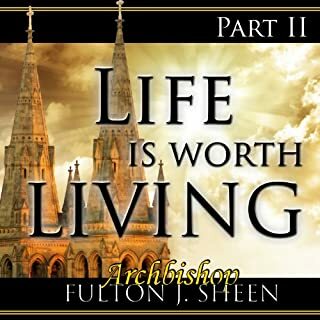 Archbishop Fulton Sheen is a breath of fresh air. In Truth for a Troubled Age, the beloved prelate reveals Christ’s sustained power to overcome the sinful attitudes and mindsets of modern society, and delves into the roots of the current moral quagmire. A refreshing and insightful look at the results of our cultural revolution. Remastered digital audio of a live sermon. old recording, bad quality. Good message. Discover the spiritual insights needed to face your fears and grow in holiness with Renewal and Reconciliation. In 2007, Joseph Ratzinger published his first book as Pope Benedict XVI in order “to make known the figure and message of Jesus”. Now, the Pope focuses exclusively on the Gospel accounts of Jesus’ life as a child. The root of these stories is the experience of hope found in the birth of Jesus and the affirmations of surrender and service embodied in his parents, Joseph and Mary. In A Voice from Calvary, you'll discover powerful life-changing lessons from the last words of Christ! The beloved Archbishop Fulton Sheen uncovers the deeper meanings of suffering and pain, and the role Christ played on the cross in His agony. Learn why most people would rather admit to being “sick” than being a sinner; why the shedding of blood was absolutely necessary for the remission of sin; how all pain first passes through the hands of God before coming to us; why it took pain to atone for our disobedience and to bring healing; and much more! A seminal work of Spanish mysticism, Teresa of Avila's The Way of Perfection describes the practices and qualities of a prayerful life devoted to Christ. Although it was written over 500 years ago solely for the nuns of her convent, her devotion continues to instruct and inspire believers today. Learn what to do when marriage dulls, and how to handle your relationship when your spouse seems impossible to get along with! With his usual insight and gentle humour, Archbishop Fulton Sheen explains what every couple should know about marriage and prayer, exploring the unreasonable expectations we have of our spouses and the true source of the perfect Love we crave. What Every Couple Should Know About Marriage and Prayer is the remastered digital audio of a live sermon. Archbishop Fulton Sheen, the most influential Catholic evangelist of the twentieth century, shares with remarkable frankness his thoughts and feelings on what it means to be a priest of God. Originally given as a retreat for Irish clergy, Called and Chosen will profoundly move you as the beloved prelate opens wide his heart about the merciful love of God. Here is the best of the audio from the famous Catholic television program, Life is Worth Living! For more than 30 years, Archbishop Fulton Sheen was the voice of the Catholic Church, with his radio and television ministries that touched hearts all over the world. His wisdom and gentle insight are once again available in digitally remastered audio recorded from his live programs. This magnificent series is the most comprehensive explanation of the Catholic vision of life ever offered - spoken in simple, graspable language, but not afraid to face the hard questions. Part 1 of 2. What made the experience of listening to Life Is Worth Living, Part 1 the most enjoyable? He is a great teacher very articulate and poetic and I've learned more about the Catholic faith then I ever knew and not just the Catholic faith. You don't have to be catholic to read this I'm not. I learned a lot about God in general. What a wonderful man he was God truly blessed this man with a gift to teach. Everything but I liked how he explained the veneration to Mary and why the Catholic Church honors her. Buy the book. You won't regret it. My entire life has changed. Thank you ArchBishop Fulton Sheen. ArchBishop Fulton Sheen has enlightened me to so many things that I thought I knew, yet I really did not. He showed me that despite our human ways, we are so loved by God. ArchBishop is one of my earthly heroes. Venerable Archbishop Fulton Sheen has long been a favorite apologist/evangelist of mine. I remember watching him every week on tv when I was a young child. He was humorous, theatrical, entertaining, and taught the truths of the faith. I remember him always at his chalkboard and he never began writing until he first wrote the initials: JMJ, for Jesus, Mary, and Joseph. He was a wonderfully gifted orator. This is a great collection of his talks, which he always gave without a written script! Magnificent! Bishop Sheen has a unique perspective and a unique delivery. All people, Catholics and non-Catholics can learn from this set of lessons on life. Try it, you'll like it! Listen to this series as often as you can. Any lack of faith will be gone. An excellent defense of the faith. I would love to hear an atheist or agnostic debate the Venerable Sheen on his faith and The Church in particular. What a privilege to hear these talks. Enjoy the gift. The Venerable and Most Reverend Fulton Sheen, a treasure of the Roman Catholic Church, is the 20th Century's John the Baptist, clearly and rationally explaining the straight and unencumbered path of Christ, the only Way to a blessed eternity. 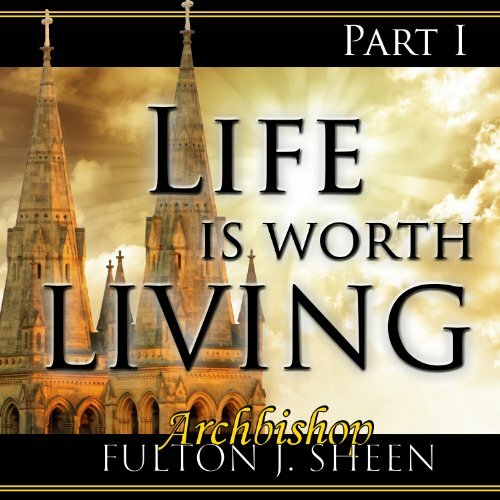 I am too young to remember Bishop Fulton Sheen when he was on the radio and television so I was very happy to find out that his early recordings had been remastered and put out as a series of audiobooks. This is part one of two for this series and is very good. Bishop Sheen explains the basics of the Catholic faith and does it very clearly. Some of his stories and language seem rather dated, but that just adds to the charm. I will be getting part two when I get paid again and intend to purchase some of his other recordings as well. Great presentation by a very knowledgeable, holy man. We need more Catholic clergy like him. amazing man m, helps others better understand God. Fulton Sheen was an amazing man with a gift of helping others to better understand God. awesome production from the original records. Classic, and relevant for every age. Would you listen to Life Is Worth Living, Part 1 again? Why? Yes. To better understand my Catholic Faith. Archbishop Sheen is a recent "discovery" for me and I am grateful for this gift. I decided to listen to most of his audiobooks available. Highly recommended to anybody seeking the sens of life and faith. There were moments I felt uncomfortable with his "emotional" and "stormy" tone but when he spoke calmly, which was most of the time, I just could listen to him non-stop. Very inspirational. Additionally, I have confidence in this man who spend every day at least 1 hour on Adoration for over 56 years. So grateful for this man, his testimony and the Wisdom he shares with us. It is an old enhanced recording of the Archbishop who was an American TV phenomenon in the 50s. The message is as important today as it was then. It gives a clear insight into human nature and the challenges of life, with a path to fulfilment. It gives a good overview of Christian teaching and explains the purpose and meaning of life. Understand God, church and Man. A holy man explaining the meaning of life: God, Church and Man. I could not stop listening. Be filled with the Holy Spirit and God Bless.